In addition to being one of the world's leading interpreters of the Old Testament, Walter Brueggemann is a skilled and beloved preacher. This collection of sermons demonstrates Brueggemann's fidelity to biblical texts, which come alive with meaning in our contemporary world. Throughout, Brueggemann also reflects on his preaching. The book features a biblical index as well as a foreword by Samuel Wells of Duke University who writes: "Enjoy this volume from a master exegete, a master theologian, and a master preacher. They really are neat sermons. And they're for you." ﻿Click here for ordering information. Click here to read the sample sermon, "Shrill Faith for the Nighttime." 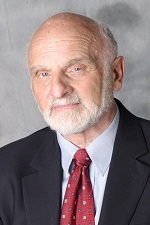 Walter Brueggemann is William Marcellus McPheeters Professor of Old Testament Emeritus at Columbia Theological Seminary. He is the world’s leading interpreter of the Old Testament and is the author of numerous books. For more information, or to place an order, please visit www.wjkbooks.com or call 1.800.523.1631.